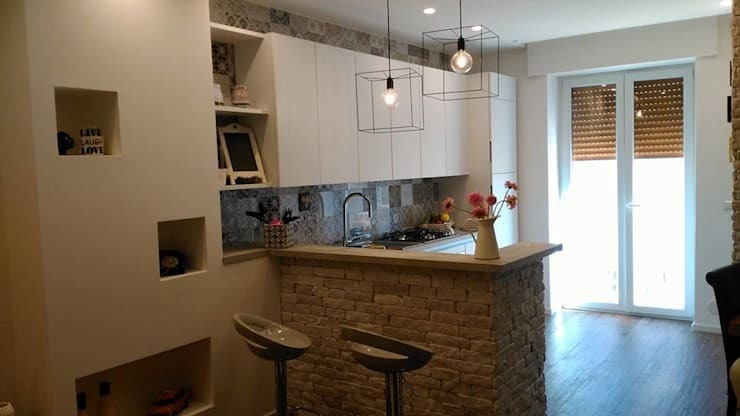 Small kitchens can be so stylish that you have to wonder why anybody needs a gargantuan food preparation area and this one that we are showing you today is one such space! 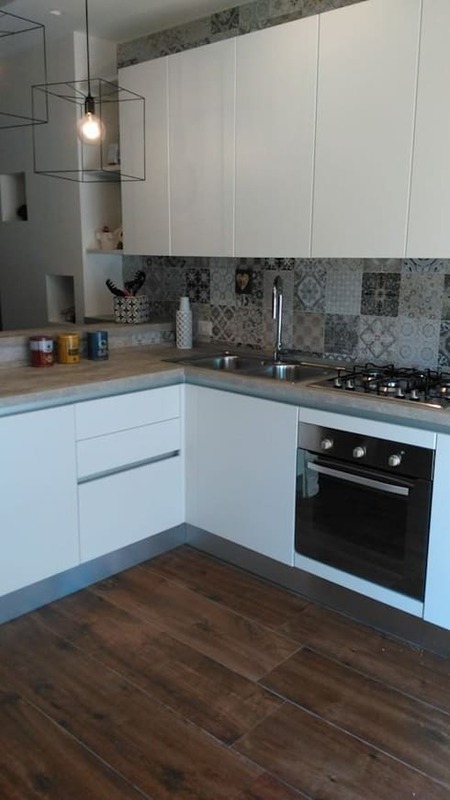 Perfectly designed to maximise the available space, offer enough dining room for a couple and look gorgeous whilst doing it, we think you'll love what the kitchen planner here achieved, but don't just take our word for it; come take a look for yourself! 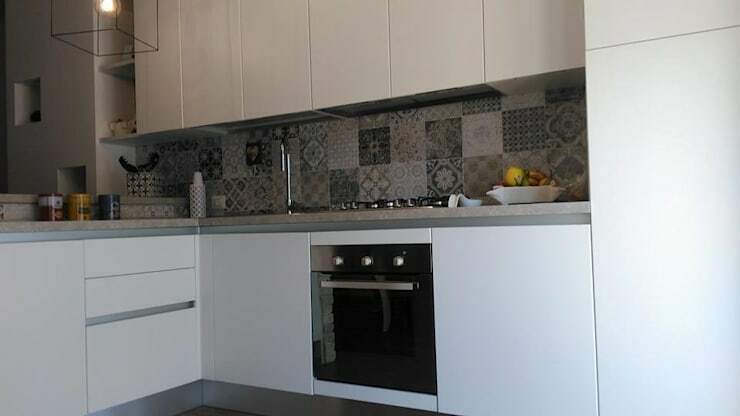 On first examination, don't you think that this kitchen just simply works? With plenty of natural light flowing in , neutral colours everywhere and a simple design in place, what could have quickly become a far too fussy room is actually a modern masterpiece! In a small kitchen space, the colour you choose for your cabinets is key and as you can see here, a classic white has really risen to the challenge of not making the room feel too claustrophobic! Integrated appliances were a good choice too, as nothing has to be sacrificed for a functionality. From here, you can see that the extractor fan has been mounted in the bottom of the top cabinets, which we think is a genius touch! By avoiding large, bulky additions, the sleek lines of the kitchen can be maintained and the uncluttered feel preserved. So clever! We are in love with the L-shaped countertop here, as by building a tiny wall, not only has extra worktop been gained, but also, valuable storage! As you'll see in a moment, the other side of the wall has been transformed into a breakfast bar, meaning that this seemingly small addition has made way for HUGE benefits. In a small kitchen, there can be a temptation to keep everything as plain as possible, but we like to see a little creative courage, so this tiled splashback is really exciting us! While the colours follow a neutral scheme, the intricate nature of the patterns keeps things fun and energetic. Sociable breakfast bars are such a covetable addition to any kitchen and isn't it great to know that even the smallest spaces can have one? 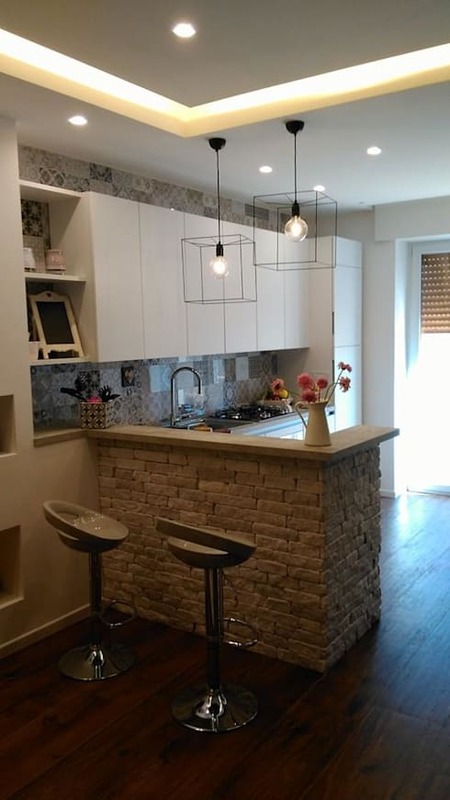 Built for two, this bar looks great, thanks to the rustic brickwork, and functions perfectly, without requiring any sacrifice of kitchen space at all! Amazing! If you loved this modern kitchen, take a look at this Ideabook: Modern kitchen must-haves. 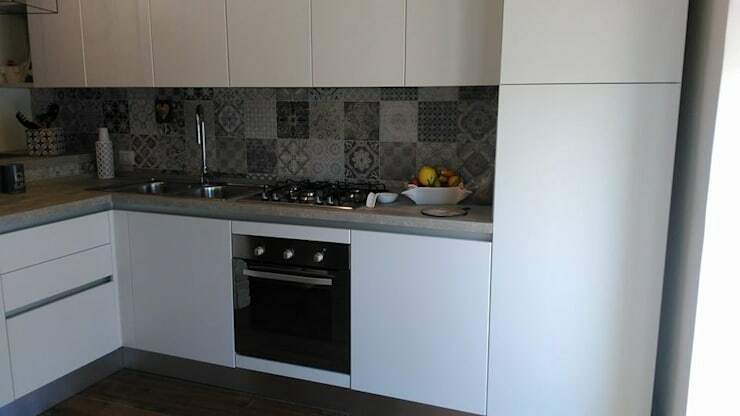 Would you love a small kitchen that's as functional as this one?